So Cal Athletics McNee & La Salle H.S. 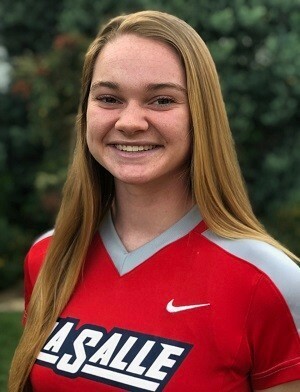 This 2020 grad plays softball at La Salle H.S., competing in highly regarded private school play in the Los Angeles area. As a junior this season, she is a varsity starter for the 3rd year in a row. As a sophomore, Collette was named the Athletic Underclassman of the Year, the 2017-2018 Varsity Softball MVP, and received 1st Team Varsity Del Rey League honors. As the only freshman varsity starter, Collette earned her varsity letter and was their RHP and SS, where she quickly stepped in and made her mark. 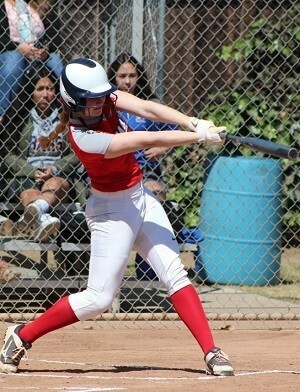 A true Utility player, Collette also plays her select ball with the well-respected So Cal Athletics McNee travel squad. 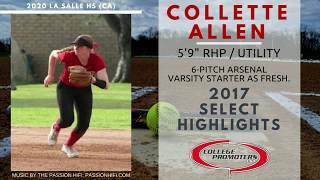 Obviously ahead of her years athletically, Collette is without a doubt a young lady to keep a close eye on in both select ball and high school play. She is also a varsity standout on the golf course, and earned the "Most Improved Golfer" Award last year! 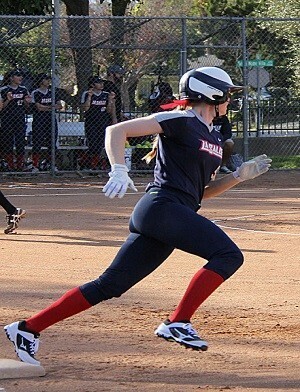 Standing 5'10"-155lbs as a junior, Collette combines her excellent mechanics with her fast bat and her ability to dominate at multiple positions to have a bright future ahead of herself. As soon as her early season club stats are available, they will be posted here. As tall as Collette has stood on the softball fields at LSHS and with her select squad to-date, she also understands the importance of keeping her grades up to reach her lofty collegiate goals. As a junior, Collette is carrying a solid 3.8 GPA, including 2 AP courses, is a member of La Salle Helping Hands, NHS (National Honor Society), Support our Troops, the National Arts Honors Society, earned the "Excellence Award" in P.E. last year, the Merritt Award in her Introduction to Scripture class, received the 2017-2018 Principal Scholar Award, and is a Student Ambassador. She also scored 23 on her ACT. For more information on this bright, well-mannered young lady, contact our San Antonio based staff at (210) 494-6363 anytime. Click HERE to see Collette's 2019 H.S. varsity schedule! 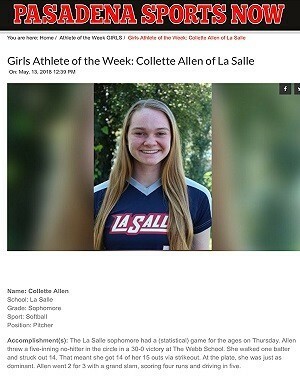 Click HERE to read about Collette's superb game against The Webb School, in which she fanned 14/15 batters she faced, threw a five-inning no-hitter, hit a grand slam, scored 4 runs & drove in five en route to her Pasadena Sports Now Girls Athlete of the Week honor! 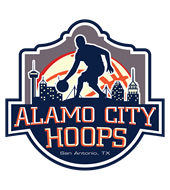 Click HERE to read about Collette's performance against St. Monica H.S. 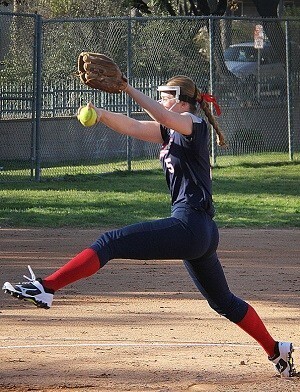 in Del Rey League play, where she threw a two-hit shutout, struck out 7 batters, hit a home run, doubled, scored twice & drove in two runs. Please Note: If you've received an email from us regarding Collette Allen, his or her phone number and email address are provided within that email for your convenience.